Georgia accused Russia of human rights violations, war crimes and "rampage" throughout its territory at the period of military conflict between the stated ten years ago, as The Guardian reports. “Over five days, Russian planes carried out more than 100 attacks on Georgian targets. The government said there was overwhelming proof that Russian bombs were dropped on civilian areas, killing and injuring innocent people. The evidence included witness statements, satellite footage, and video and phone intercepts,” the news agency reports. 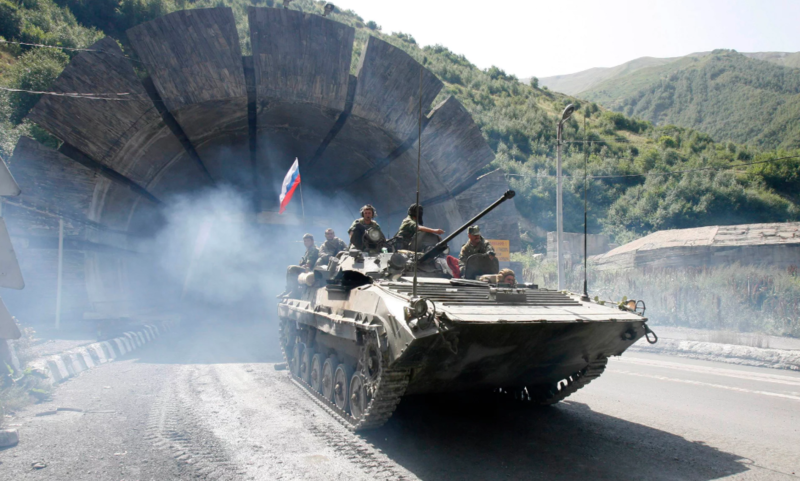 Georgian Government claimed Russian troops rushed into Georgia’s two provinces - South Ossetia and Abkhazia when the conflict started. Around 30, 000 soldiers were deployed. Ben Emmerson QC, acting for Georgia, stated that Moscow’s control over these territories was a long-term plan, and the aim was to “occupy as much territory as it could get away with”. He added that Russia’s troops came to the Georgian villages closing off entrances and exits. Then, Ossetian forces burned down Georgian homes and entire villages and conducted executions threatening people with death if they refused to leave. “Georgia took its claim to Strasbourg the day after the hostilities stopped. The long-running dispute – over what happened, and who was to blame for the war – reached its climax on Wednesday, when Russia and Georgia delivered their final speeches. Moscow has complained repeatedly that the court is biased and politicised. It blames Georgia’s pro-western former leader Mikheil Saakashvili for starting the conflict by sending soldiers to rebel-held South Ossetia and says its role was as honest peacekeeper,” the message says. According to the EU investigation conducted by the European Parliament, Saakashvili started the war by setting artillery barrage on Tskhinvali – the rebel city. The report denied Georgian claims that the attack was a reaction to the Russian invasion and accused both sides of violations. “It is an open secret that Russia has been lobbying in public and in private for a favourable outcome, mumbling dark threats that it will deratify the European convention on human rights and starve the court of funding if the case goes against it. There is no middle ground in adjudicating this case. The evidence is all one way,” Emmerson told the judges. In 2026, more than 30 witnesses testified. Their testimony covered the most horrible parts of the war: the alleged ethnic cleansing of 20,000 Georgian villagers living in South Ossetia, who were driven and burned out of their homes, a deadly rocket attack on Gori, and the torture of prisoners. Yet, Russian military officials who gave evidence denied an attack was carried out. Meanwhile, they claimed Georgia’s evidence was fake, or that the Georgian army had bombed its own people to falsely involve Russia. “The suggestions were, at times, preposterous and almost comic,” Emmerson noted. On Wednesday court session, Russia stated that U.S. intelligence made up the accusation against it along with human rights organizations. It claimed U.S. spies took an Iskander rocket from an unsecured Russian facility, crushed it and spread the fragments to make it look as if Moscow fired the weapon.